I’m traveling to Ketchikan, Prince of Wales Island, and onward to Juneau in the coming weeks, with a full schedule that includes visits to a dozen schools and libraries. I’m sure looking forward to it! 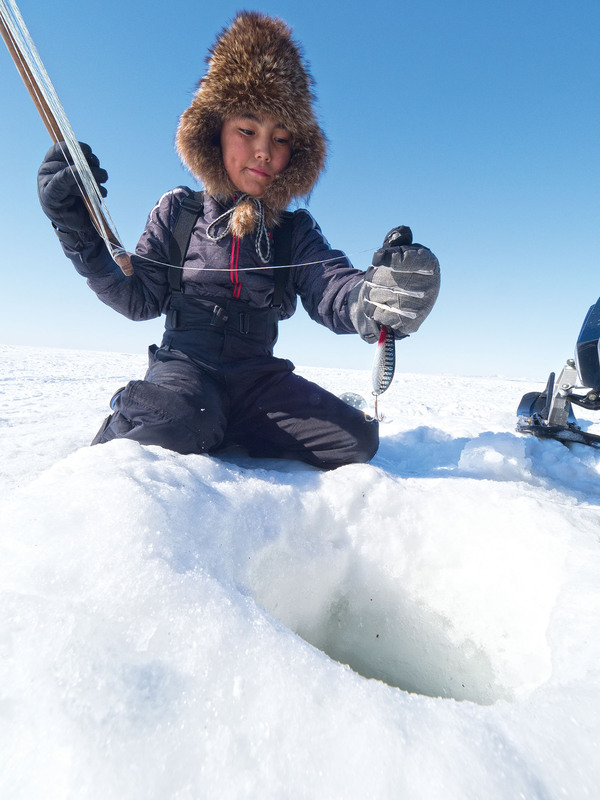 Check “The Places I’m Headed” to see if our paths might cross. I had to show off this promotional poster for our event at the Juneau Library Public – Downtown. I love it. 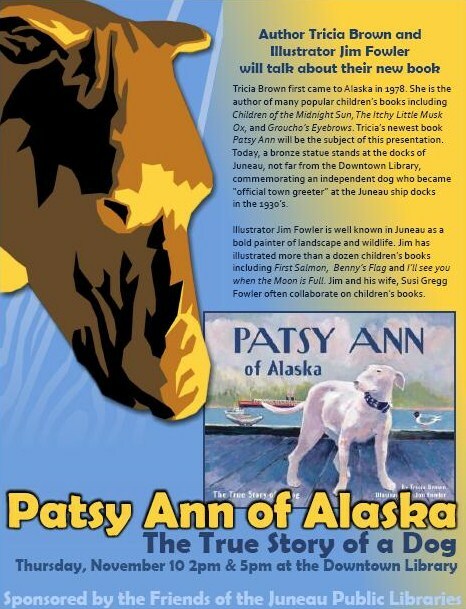 And, this is a rare opportunity to meet both the author and illustrator (Jim Fowler) of Patsy Ann of Alaska. 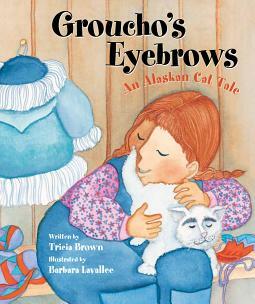 Next month, I’ll be touring schools, libraries, and bookstores in Anchorage, the Valley, Fairbanks, and North Pole. 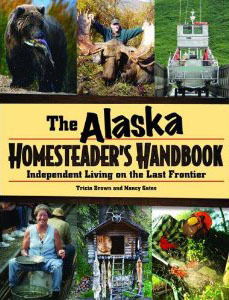 And let’s not forget ReadAlaska Book & Craft Fair at the Anchorage Museum—it’s during the Thanksgiving Holiday weekend. Hope to see your there, too. Stay tuned! 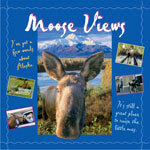 This entry was posted in Alaska Books for Children. Bookmark the permalink.